Fortify your network cabling with the Cat 6 Snagless Shielded Ethernet Cable from Comprehensive. 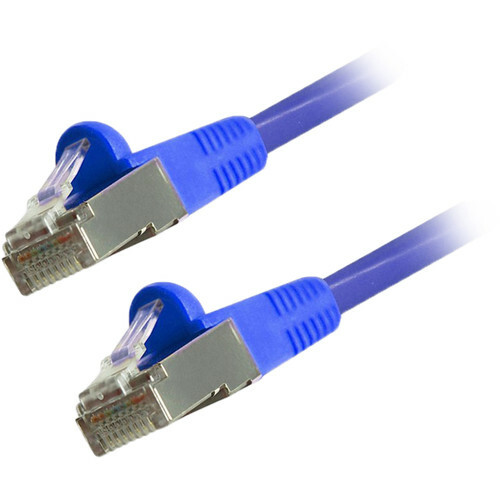 This blue 5' cable boasts gold-plated RJ45 connectors, 24 AWG stranded construction, and transmission speeds up to 500 MHz. The snagless boot helps to ease installation and is ideal for applications that require high insertion rates, while the 80% tinned copper braid shielding is designed to provide protection from EMI (electromagnetic) interference. This UR-rated cable boasts a PVC jacket. Include Gigabit 1000BASE-T; 100BASE-T; 10BASE-T (IEEE 802.3), 4/16 Mb/s Token Ring (IEEE 802.5); 100 VG-AnyLAN, 100 Mb/s TP-PMD (ANSI X3T9.5); 55/155 Mb/s A, 622A, and T1 Voice. 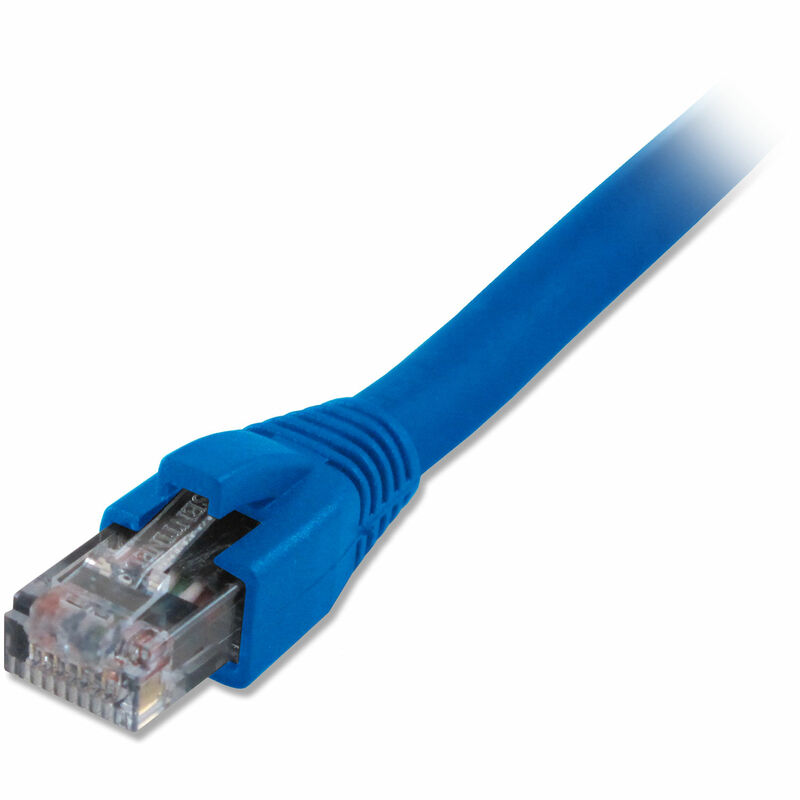 These shielded Cat 6 Ethernet cables comply with TIA/EIA 568B specifications and support up to 550 MHz bandwidth. A molded low-profile, snagless boot helps to ensure quick and easy installation while providing superior strain relief. Comprehensive's shielded Cat 6 cables provide superior protection from electromagnetic (EMI) interference.